It’s no secret I’m in love with all things floral! 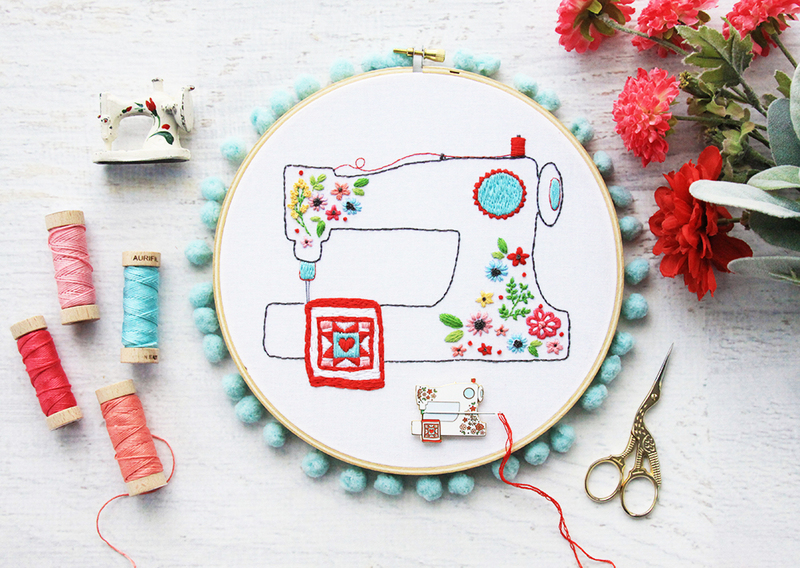 When you combine that with sewing machines, stitching and quilting – it’s a match made in heaven! 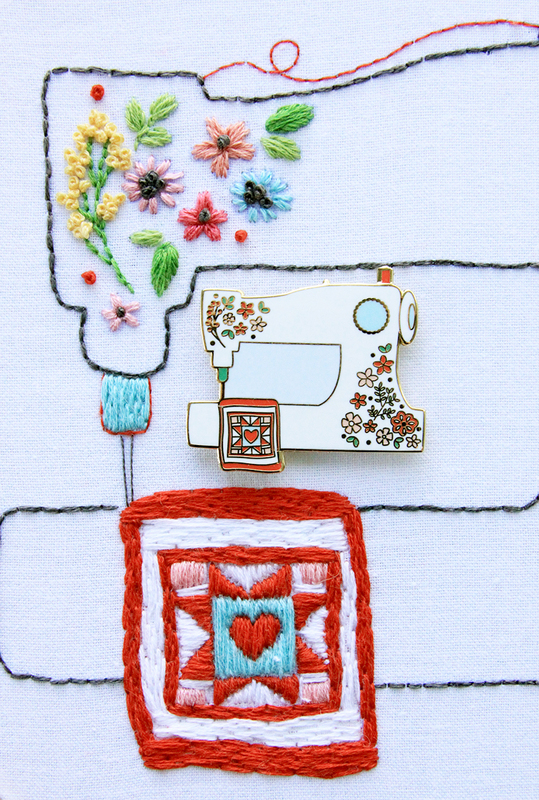 I had so much fun creating this new set – this Floral Sewing Machine Pattern and Needle Minder! Aren’t they fun together?! 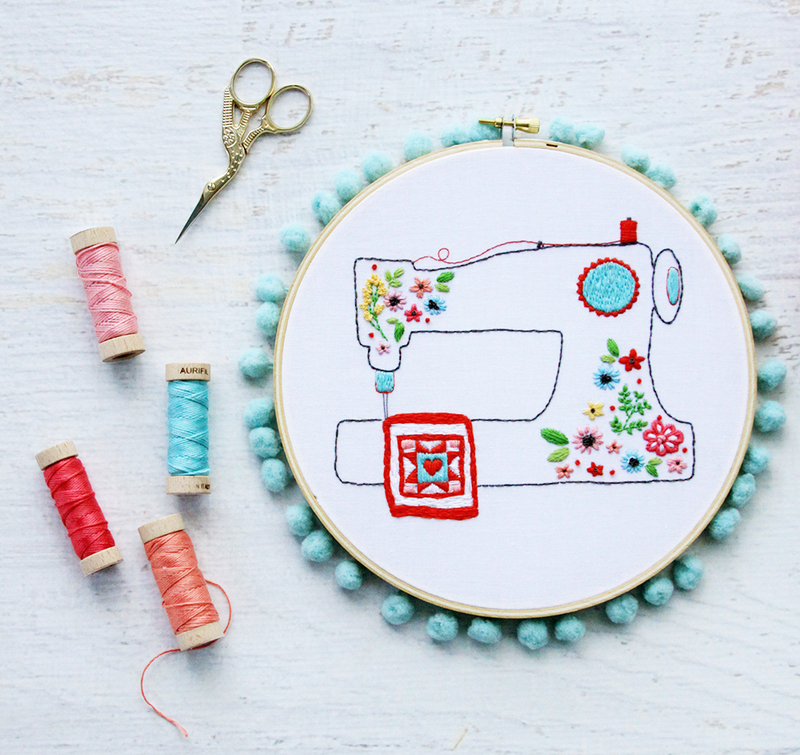 The embroidery is designed for an 8″ hoop but it would be the perfect size for a small pillow or larger pillow center too. The pattern includes the stitch guides, a color pattern and a black and white pattern for easy transferring. I’ve also provided an Aurifil color guide so you can pick out your colors easily too! 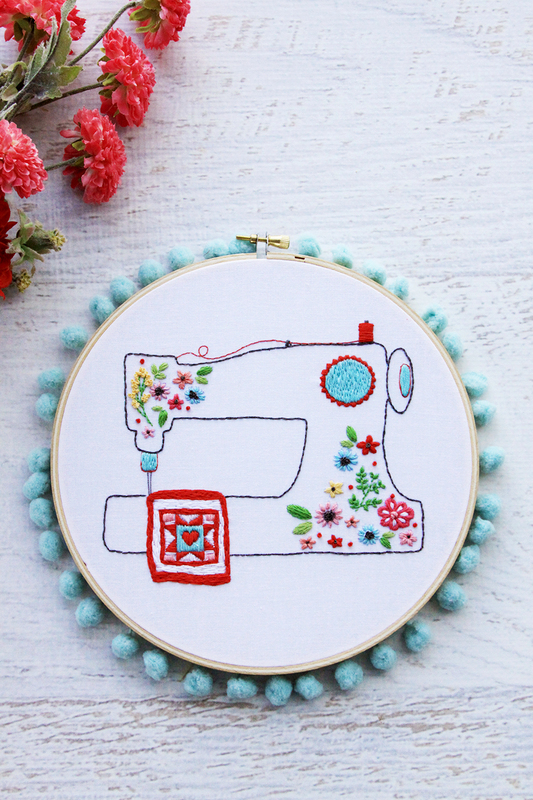 I just love the texture on this design – from the little mini quilt block to the dials and tiny flowers. You could also use the pattern as a guide and make it with fabric or felt too! 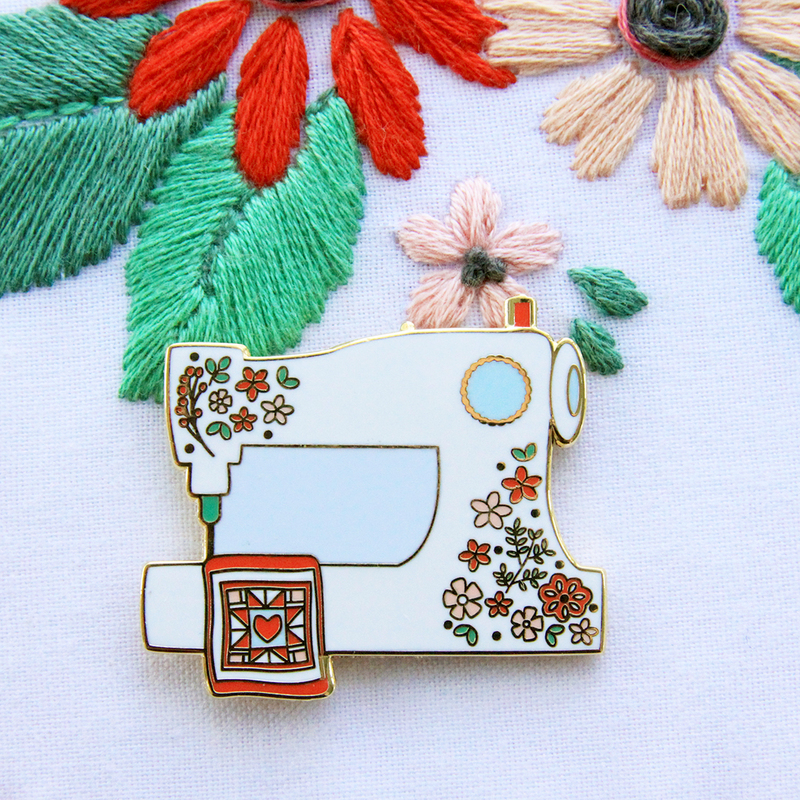 The brand new Sewing Machine Needle Minder matches it perfectly!! It has super tiny little flowers and even a mini quilt block too! The needle minder has two strong magnets, one attached to the back of the sewing machine and one that is loose. 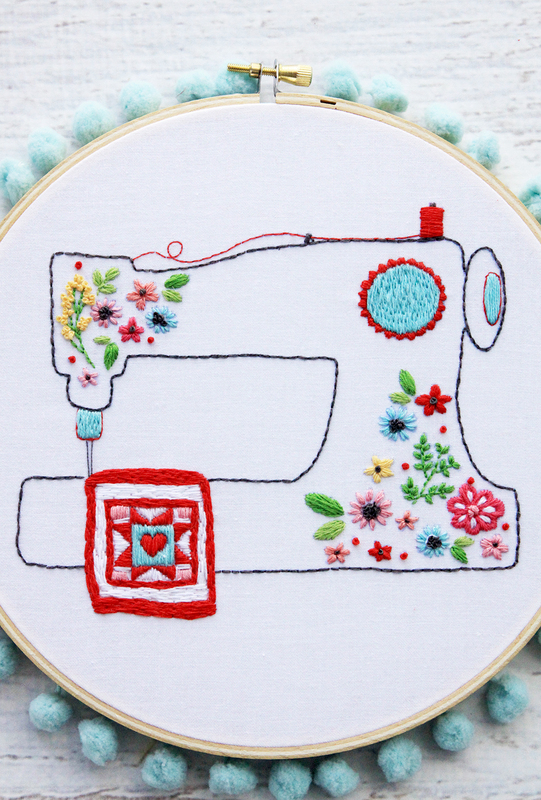 To use the minder, place the sewing machine on top of your stitchery project and place the loose magnet behind the fabric. 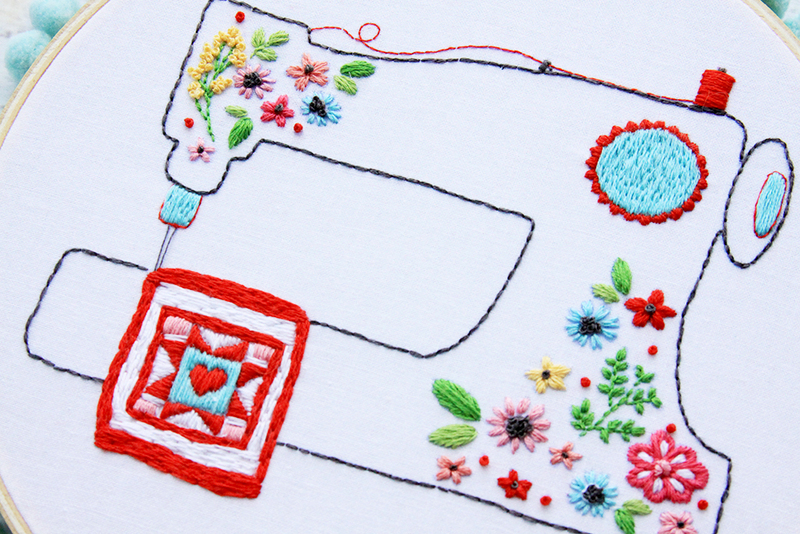 Rest your needle on the sewing machine and the magnets will hold it in place! No more putting extra holes in your fabric (or sofa or feet!) and it looks super cute too! 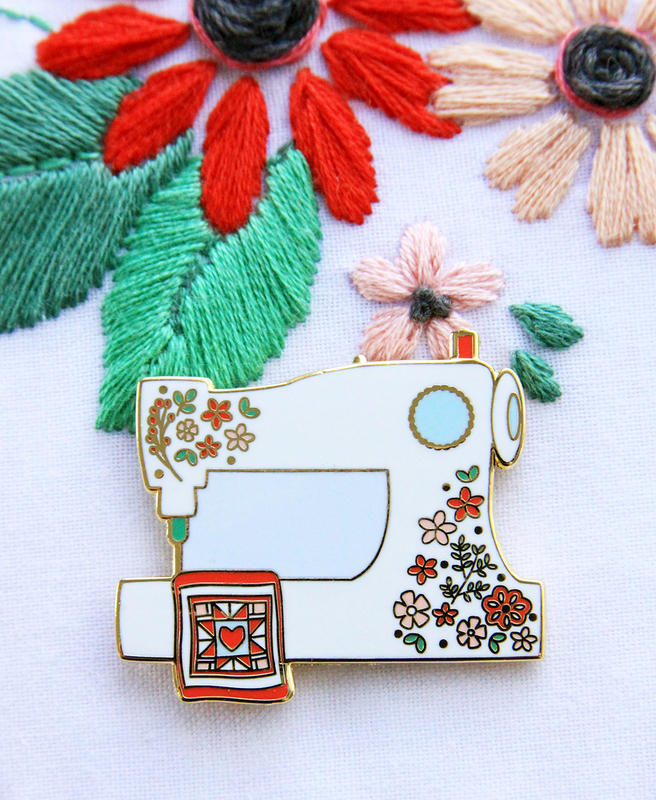 Both the pattern and needle minder are in the shop! 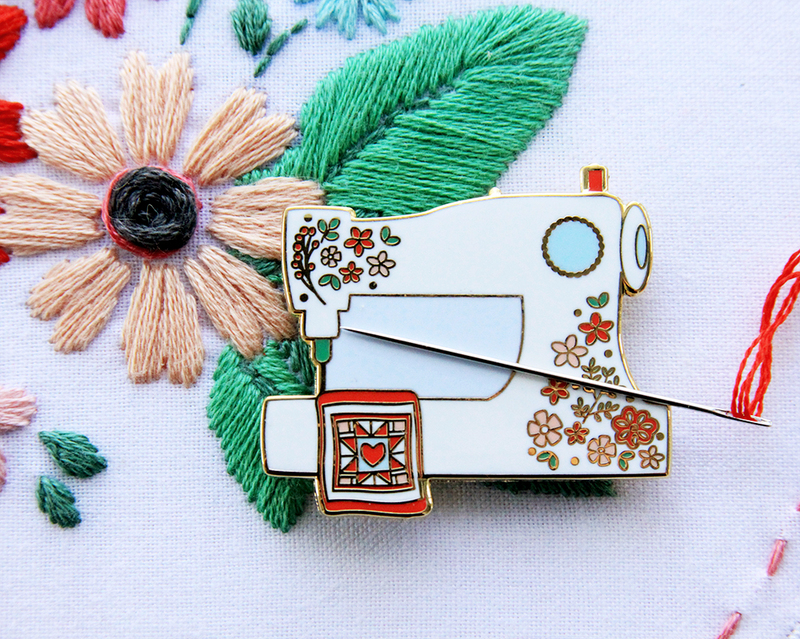 Click here for the Sewing Machine Needle Minder! « Vintage Doily Keepsakes Quilt – Free Pattern! I just ordered one for me and a cat for my daughter. Glad you got the cat back in stock. I can’t wait to get them Thanks..everything is so lovely. I will be getting the heart pattern next! Adorable design! I love it!